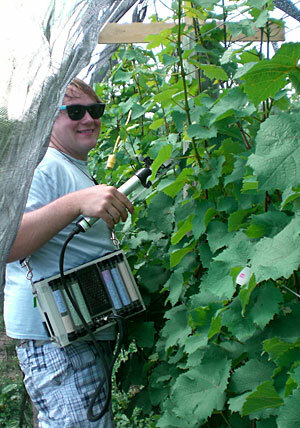 If you missed Monday’s Horticulture Section seminar, The WVU Organic Farm – 15 years of research and education with Sven Verlinden, Associate Professor, Division of Plant and Soil Sciences, West Virginia University, it is available online. 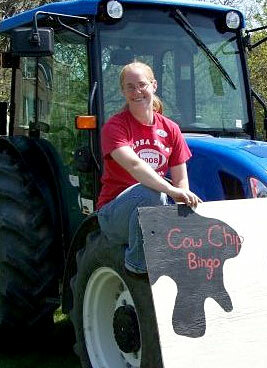 Fourth in a series of profiles celebrating the Class of 2011. Majors: Plant Sciences, Entomology, Biological Statistics and Neurobiology along with a business minor. I also fell one course short of having a Biometry minor. I’ve always been passionate about insects, science, and math. I worked at a butterfly house for six years before I came here, and I raised giant silk moths on my own each summer since I was 12. Caring for them and feeding them made me realize that to really understand insects, I had to develop a knowledge of plants, too. I visited Cornell as a high school sophomore and instantly fell in love. I am convinced that there is no other school that I would have chosen over Cornell that would have been a better fit for me. Did you have any turning points at Cornell? While taking some plant science courses, I realized that plants are amazing, too – especially when it comes to chemical ecology, communication, and defense. Not only do plants communicate with each other via chemicals in ways similar to insects, but they also take chemical measures to deal with herbivory! When caterpillars feed on a plant, for example, the plant releases chemicals that cause neighboring plants to increase their defenses. It’s pretty incredible when you think about it. What was your main extracurricular activity? The most important activity that I’ve been involved with on campus is tutoring and serving as a teaching assistant for math and entomology courses. These experiences have confirmed something that I already suspected: that I really love teaching and sharing what I know. I’ve also been very active in Insectapalooza, a one-day science fair oriented to kids and families that the Department of Entomology puts on every year. 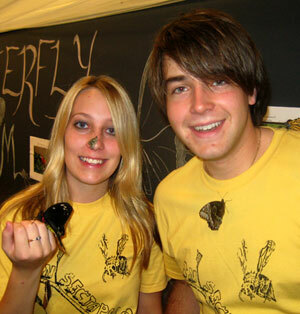 During my sophomore year, I created a butterfly room where visitors to Insectapalooza could come and walk amongst live butterflies and plants! I have worked to make the butterfly room a more attractive exhibit each year with the help of undergraduates and faculty in the Department of Entomology, and have expanded to displaying exotic butterflies from Central and South America. It has become one of the visitor’s favorite displays at Insectapalooza, as a result! Who influenced your Cornell education the most? Dr. Linda Rayor and Dr. Cole Gilbert, two of the entomology faculty, have been tremendously generous with their time and very supportive of my rather unique interests throughout my time at Cornell. Dr. Rayor, who is interested in the ecological dynamics of social spiders, has helped me to realize my passion for education and Dr. Gilbert, who has worked on various aspects of insect physiology, such as vision, has frequently provided me with both academic and career guidance. Both of them have always been approachable and easy to talk to, and my time at Cornell would not have been the same without them. Did you find Cornell challenging? The short answer is “no,” though there have been instances when I have felt incredibly overwhelmed. If you work hard, it’s not as intimidating as some people would have you believe. I think it helped that I know and am comfortable with the fact that I can’t be good at everything. You have to prioritize and choose where you want to put your energy, and also realize that if you have ever have any sort of problem at Cornell, be it academic or personal, you can always find someone to help you out. Over the summer, I’m going to be teaching an ACT and SAT prep course for the Revolution Ivy Summer Management Program. I’m also applying for jobs that combine my interests and skills in science and education. One of my life goals is to open a huge butterfly house. Butterflies make people happy, and it’s an opportunity to educate them more about nature. First in a series of profiles celebrating the Class of 2011. I came to Cornell to major in Landscape Architecture. There are smaller schools with landscape architecture programs, but they didn’t offer all the other courses to explore outside the major. And there are so many other opportunities for learning here – lectures, concerts, libraries, and people from all over the world. Coming from a small high school, I saw Cornell’s diversity as a great opportunity to meet many people from all over the world. What was your main extracurricular activity? Why was it important to you? I learned a lot about leadership and teamwork as a member of Phi Sigma Pi National Honor Fraternity. I served on the executive board and worked on conference planning and event hosting, and now I have a supportive network of friends all over the country. I had so many great professors who helped along the way – too many to mention. If you’re struggling with something, they’re willing to help. I had good support here. My sophomore year, I took Creating the Urban Eden – a course where you learn about the woody plants used in landscape design. 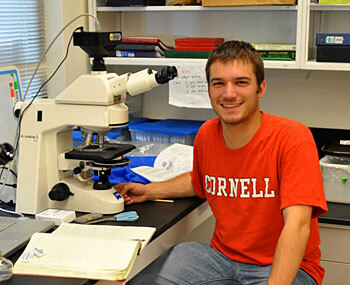 Then the following summer, I got a lot of hands-on experience as a Botanical Collections intern at Cornell Plantations. From those experiences, I realized that in order to make good landscape design decisions, you have to know a lot about the plants. So I switched my major to Plant Sciences. I learned that a balance between art and science is very valuable, especially when making design decisions. I came to realize that I like a balance of the two approaches. My summer internships. 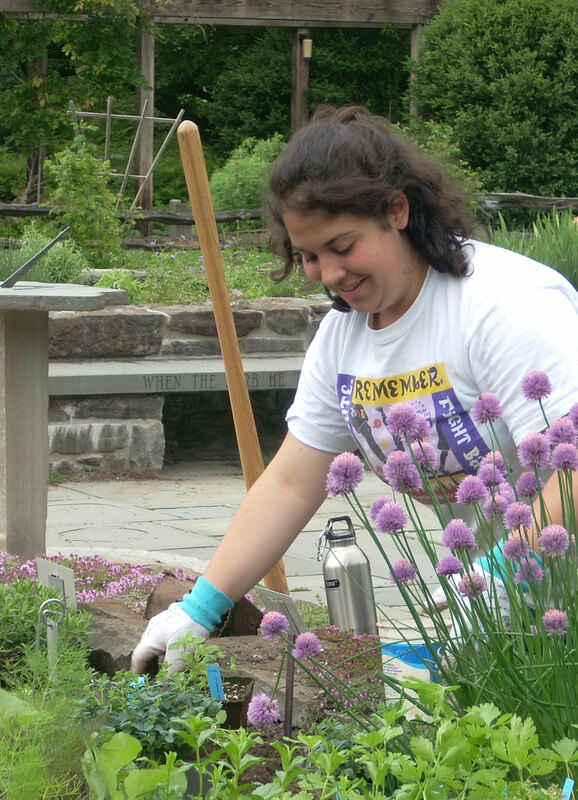 In 2009 at Cornell Plantations, I got to get my hands dirty working outside in the sunshine and got a good feel for public garden management and education. I could take pride in seeing the gardens really come to life and help beautify our campus. In 2010, I worked on the flower trials at Bluegrass Lane Turf and Landscape Research Center just off campus. In addition to growing the flowers, we helped host a conference and field day, made floral arrangements, and attended a floriculture conference. Get to know all the great things the area has to offer: The Dairy Bar, The Commons, Cayuga Lake, the Farmers Market and the festivals – especially the Apple Festival in the fall. I’m still looking for a job. I’m hoping for something where I can put my skills and interests in public gardens, flowers and event planning to work. Meantime, I’ve lined up a great internship in the Disney Professional Horticulture Internship Program. It should be a lot of fun and a great learning experience.